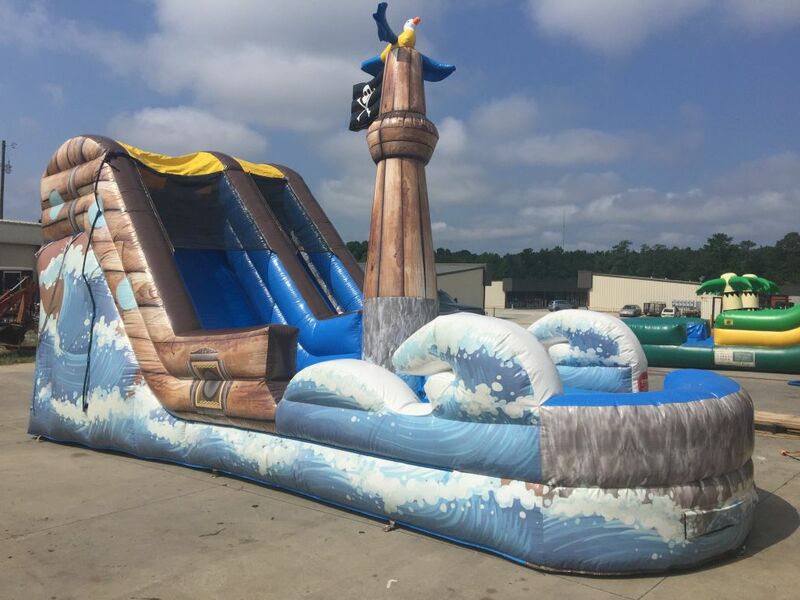 This 19 foot slide is a great little slide for backyard parties. 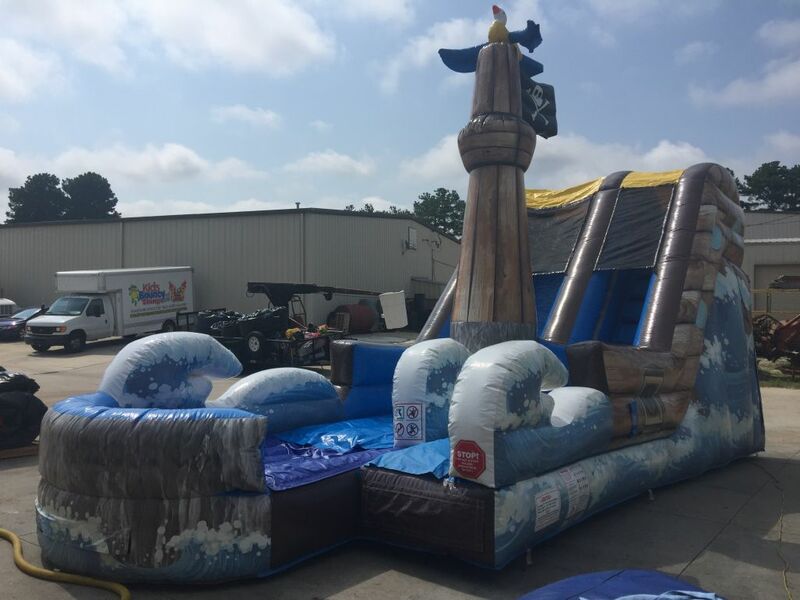 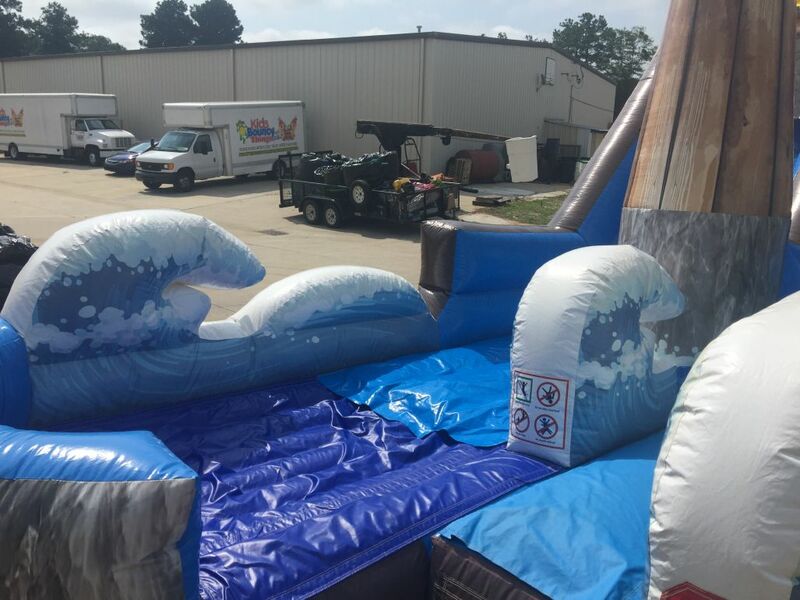 This unit will be the center of your event providing lots of fun and entertainment for the little ones & the older ones. 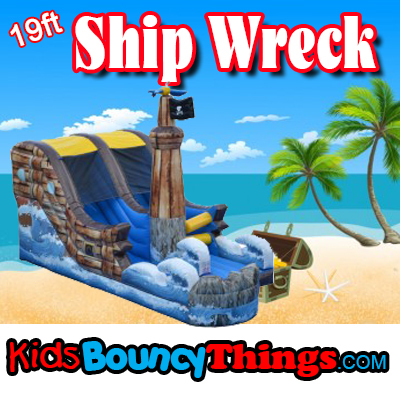 It is especially perfect for those pirate themed parties and events!